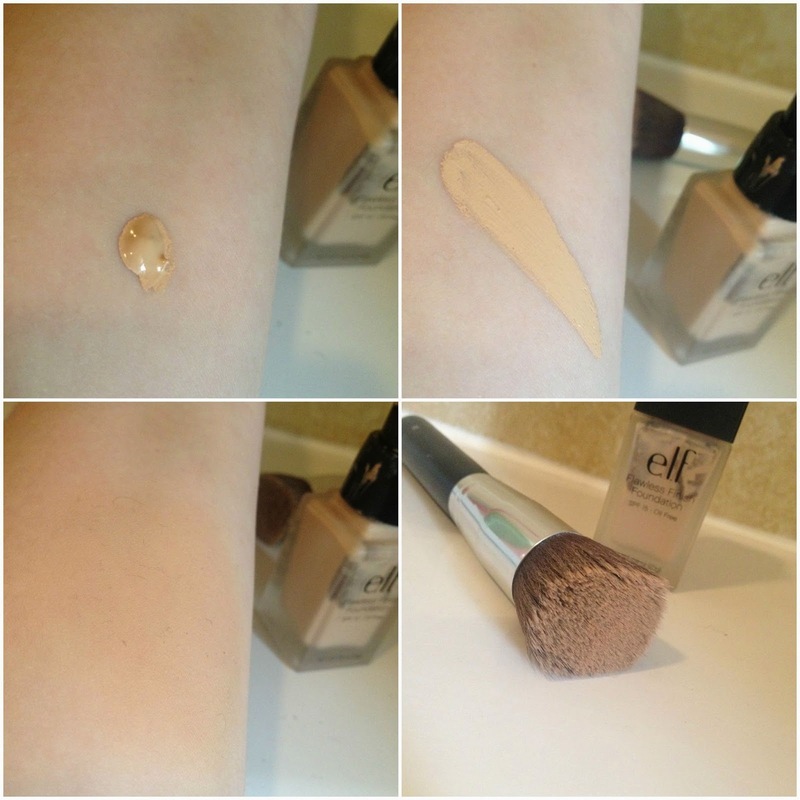 Today I thought I would review the Elf Flawless FinishFoundation which I have been using for a month now. I absolutely adore this foundation. I bought this from the Elf website about a month ago. Mainly for the reason it states to give you a Flawless Finish and it is Oil Free. I always look out for foundations that are oil free as I have a very oily t zone. I did try applying this using my real techniques stippling brush which I use with most of my foundations but it doesn’t work at all with this foundation. So I actually use a flat top kabuki brush. It buffs the foundation so it doesn’t look patchy and does give you the flawless look. It is a medium coverage that is buildable and it has a satin finish. This foundation retails at £7.50 which is more than what I paid a month ago. The shade I bought is "sand" which usually is too dark for me but i find these foundations come up lighter than others. I did try applying this using my real techniques stippling brush which I use with most of my foundations but it doesn’t work at all with this foundation. So I actually use the brush shown about which I got from ebay as a set of 10 for £8.90! It is the most amazing makeup brush I have found. It buffs the foundation so it doesn’t look patchy and does give you the flawless look. The above before and after photo shows the foundation applied and this is before i have applied any concealer or powder! I've never bought from Elf, although I'm dying to! This foundation looks gorgeous!